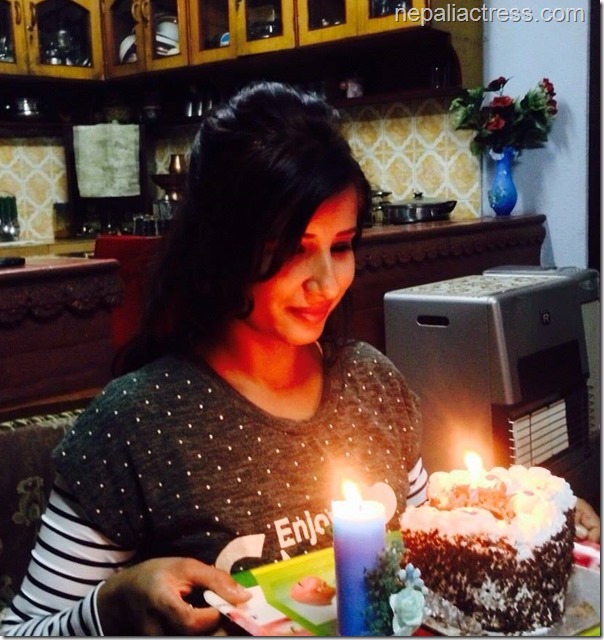 Actress and producer Suvekshya Thapa has celebrated her birthday on March 12, 2015. The birthday celebration was a private event held at her home with her family members. Suvekshya’s recent release was Raju Giri’s movie ‘Tiger – the Real Hero’ and she is currently busy in the shooting of her upcoming movie ‘Makhmali’. Suvekshya’s previous movie titled ‘Miss Nepal’ had gone through controversy because of the name and her top-less photo shot for the poster. Although Suvekshya has been active actress and producer, she is yet to see success in terms of her acting and production capability. Suvekshya is also planning on introducing her daughter, Anusa Thapa, as an actress in her movies. 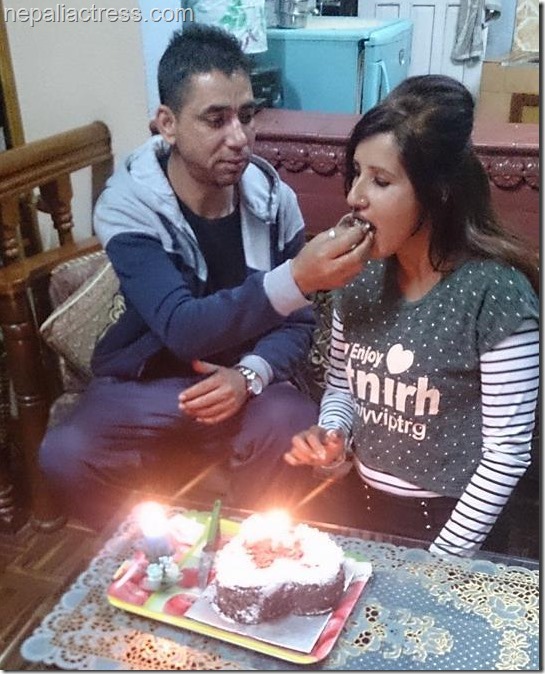 Anusa turns 18 years-old this October (we wrote about Anusa’s 16th birthday earlier). She reportedly had declined to act in a role in ‘Miss Nepal’. On her birthday, we at NepaliActress.com with Suvekshya success in coming days. 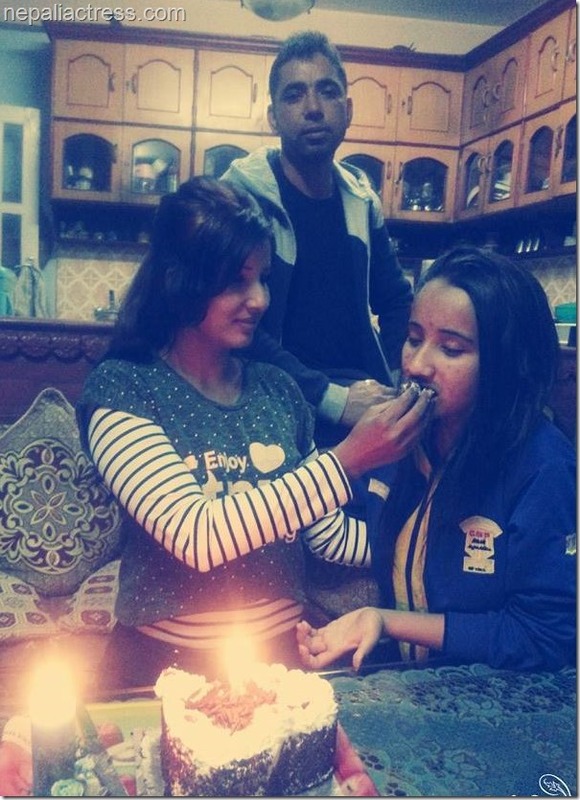 This entry was posted in Birthday and tagged Anusa Thapa, birthday, Suvekshya Thapa. Bookmark the permalink.